Containers provide storage for the safe and secure collection of feces and sputum in clinical or laboratory environments. 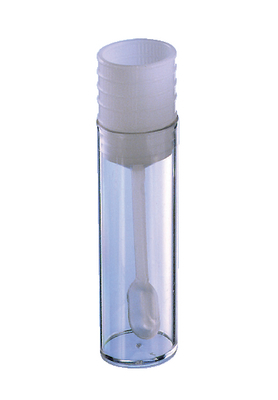 The polystyrene and polypropylene containers offer excellent optical clarity, a variety of swab and spoon accessories to aid in collection, and a diverse array of closures to suit the specific requirements of all samples. Containers are also suitable for the storage of other sample types.